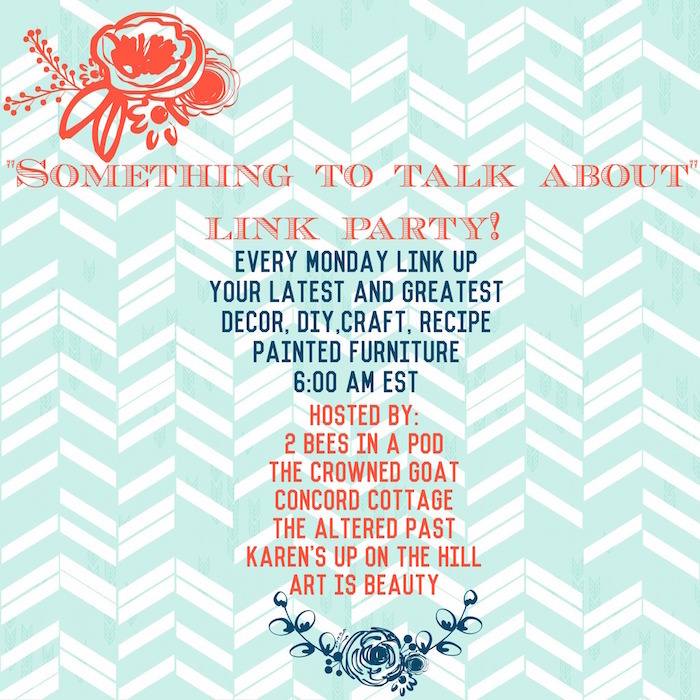 Welcome to the Something to Talk About Link Party #15! I hope you guys all had a happy weekend. We’re so glad you’re here and linking up with us! If you’re new to the party, throughout the day (and next few days) many bloggers will link up their favorite crafts, diy, recipes and more. You’ll get to see loads of great projects, inspiration and diy at it’s BEST. It’s also a great way to make some new friends and get a little more exposure and traffic to your website. We’ll be sharing many of your creative ideas throughout the week on social media too. This party is definitely the place to showcase your creativity and talents. The party runs from Monday at 6:00 am EST to Thursday at 5:00 pm EST so make sure you come back to this later and again in a few days to see what everyone is sharing. In case you missed any posts from last week, this wheelbarrow was headed for the trash pile before I decided to make it a container garden . It’s so hard to believe we’re already in the month of May! I said Goodbye April, Hello May with a recap post of the month. I look forward to Thrift Score Thursday each week and was really excited to be one of the co-hosts last Thursday. Finally, it has been nonstop painting, hauling and restocking my booth at The Pickers Market. I love the way typography looks on pieces of furniture and Christine with Cherishing a Sweet Life did a fantastic job on this side table. She also met the Property Brothers so make sure you check out her post! 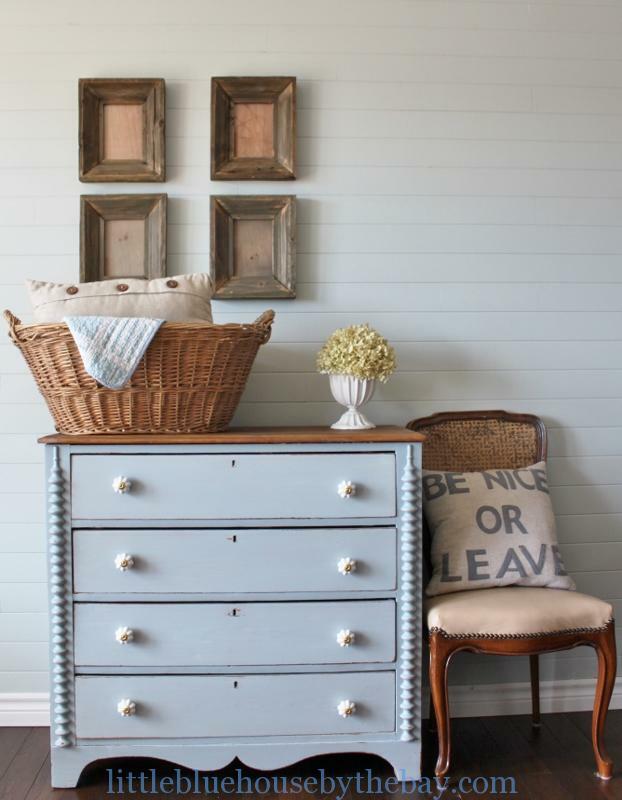 I love the custom Miss Mustard Seed Milk Paint color that Colette with Little Blue House by the Bay created for this dresser. She also custom mixed her own stain color to complement the top and it’s perfection. Please link to a specific post on your blog, not your blog’s home page. You may link up to 3 posts! Please leave a comment for your host. Cultivate new relationships…visit a couple of blogs and leave comments. No Etsy stores, giveaways or link parties. We would love a link back to one of our blogs with a text link or party button. By submitting a link, you’re giving us permission to feature your project on our blogs and on social media. Proper credit and a link back to your post will always be given. 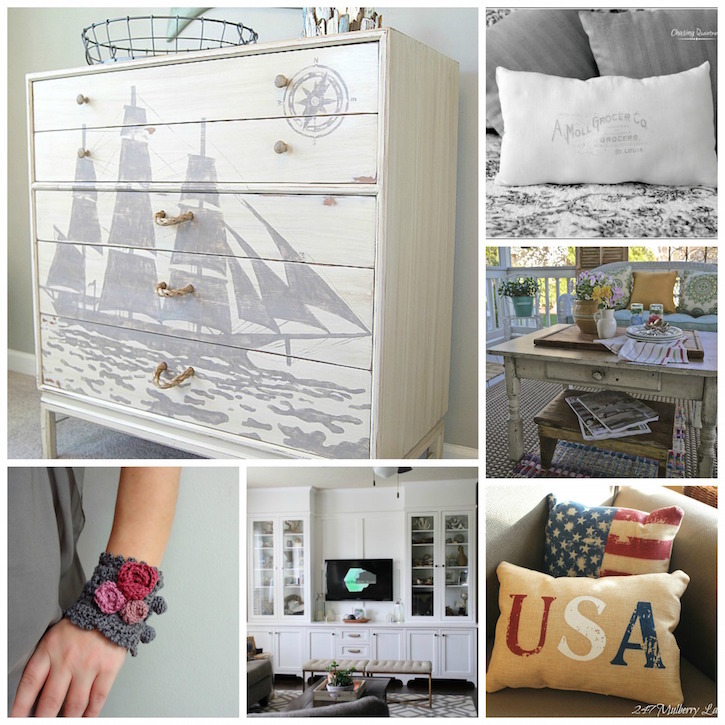 Each week, a few of our favorites will be featured on all five of our blogs. 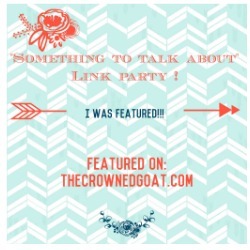 Features will also be pinned to our Pinterest Party Board for even more exposure! If you were featured, be sure to grab a button! Thank you so much for stopping by and for linking up with us! Hey CoCo – We are ready for this weeks party. Can’t wait to see what the week brings – new creativity and inspiration abound! I’m looking forward to a new week ladies! Make it a great one 🙂 Happy Birthday Jenn! Coco, hope you had an amazing weekend and enjoyed the Derby with a mint julep. I sure did. Plus a done of kid activities… Have a wonderful week. Loved looking at you wheel barrel. Brooke Fedigan recently posted…Derby Day! Happy Monday, CoCo!! What a nice surprise to see my ship silhouette dresser up there! I hope you have the best week, my friend!! Beautiful furniture features CoCo!! I don’t think I’ll ever tire of that pale blue color! The party’s off to a great start. Have an amazing day!! Hugs from TN!! 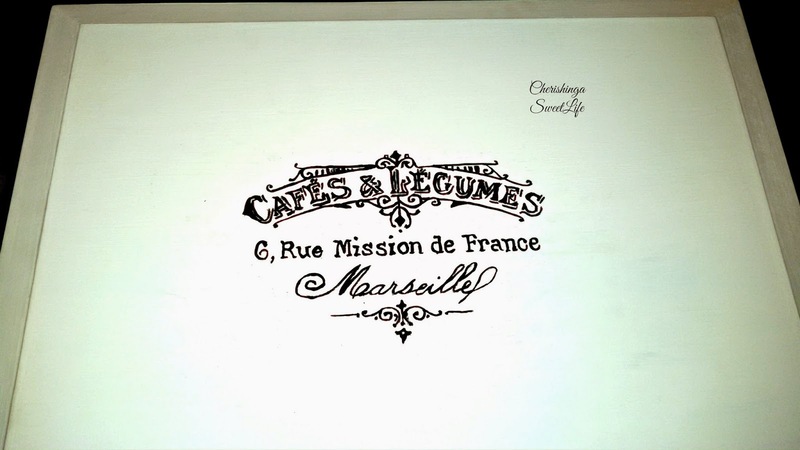 Thank you on the wonderful feature Coco and the share throughout the media! Thanks so much for linking up Kennesha!